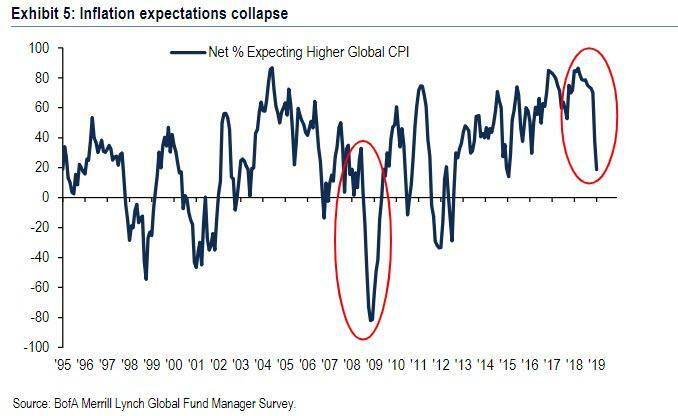 The latest BofA Fund Managers Survey, which took place between Jan 4-10 or just after the worst December for the S&P since the Great Depression, polled a total of 234 panelists with $645bn AUM, investors’ expectations for global GDP growth continue to fall, as net 60% of those surveyed think global growth will weaken over the next 12 months, the worst outlook on the global economy since July 2008 and below the trough in Jan. 2001. 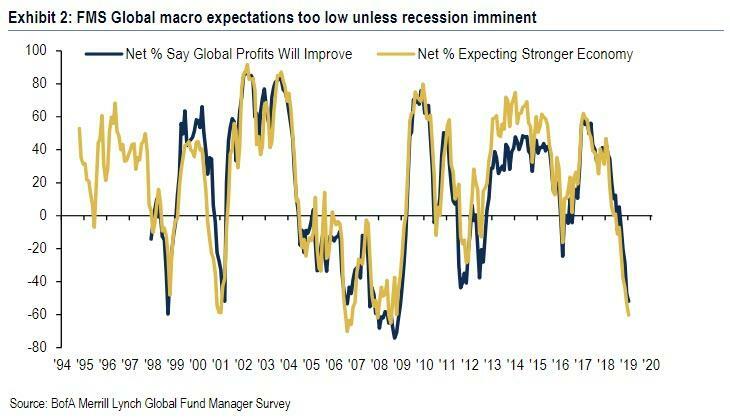 In fact, as BofA’s Michael Hartnett observes, FMS Global macro expectations are “too low unless recession imminent”, which of course means that all else equal, Wall Street is now certain that a recession is imminent. As our astute readers will understand shortly, this is a contrarian indication and therefore should be buying hands over fist as the money managers will need to play catch up on their portfolios after the dismal December selloff.